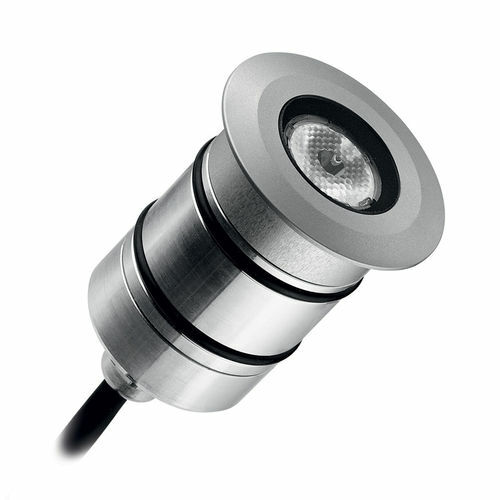 Recessed products of the Drop1 series are typically used for the design of lighting in outdoor areas. These products are used to achieve scenic lighting effects on building façades, walkways and vegetation. Several fixtures in a row can be installed to highlight interesting architectural features or for marking and warning purposes. 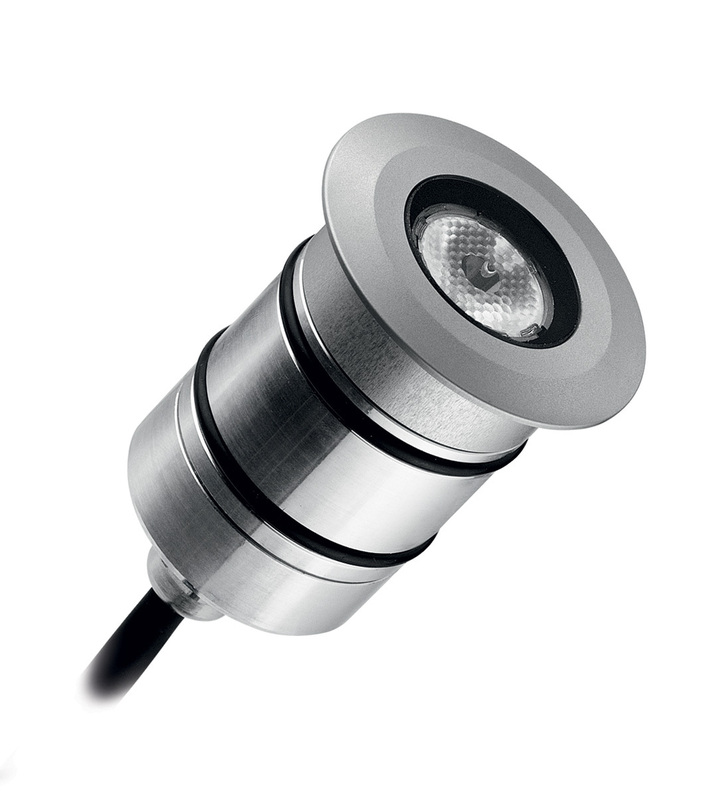 Equipped with round or square flange, they adapt perfectly to existing architectural features. All fixtures are already equipped with a connection cable for efficient installation. Body in corrosion-resistant aluminium. Screw-on flange in anodized corrosion-resistant aluminium. Extra-clear safety glass with a thickness of 6mm fitted flush with the fixture, ceramic-coated rear. Equipped with 2m connection cable; an extension of up to 30m is available on request. High power LED module on printed circuit board with metal base. Electronic components, dimmable with external dimmer. Highly efficient secondary lens. For recessing into the ground, to be used only with the appropriate housing. Walkover device.